I was out shopping last weekend and fell in love with all the foiled stationary, albums, bags, framed art, and notebooks. The foiled look just doesn't get old! 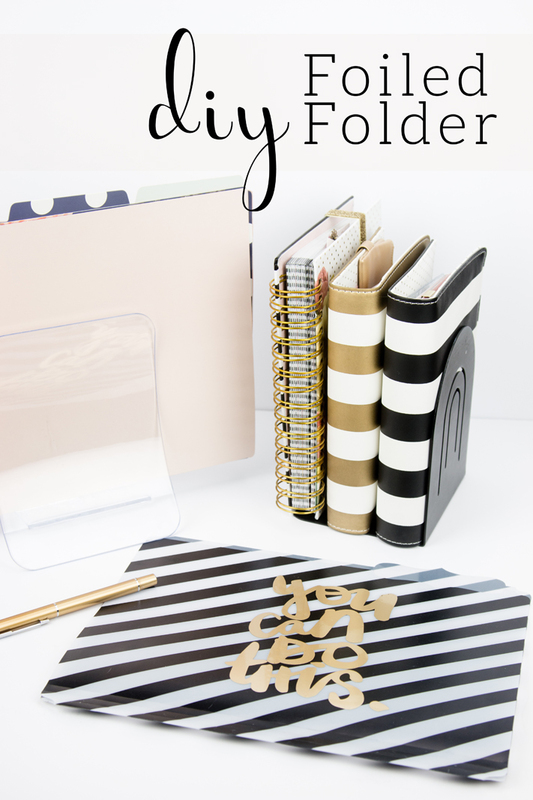 I saw some beautiful file folders and knew I just had to have a go at making my own from home! I still have a stash of my favorite file folders and I knew they were waiting for this day! I also love having an inspirational quote, like this one, on the front to get me working and hustling! Heidi Swapp Minc Foil Applicator Machine 6"
1. Cut your design from vinyl with the Silhouette. 2. Watch this how-to video to see how I removed the negative of the image, foiled it, and then transferred it to my surface. Although in the video I transferred the foiled image on to a mug, the same application was done to this folder! 3. 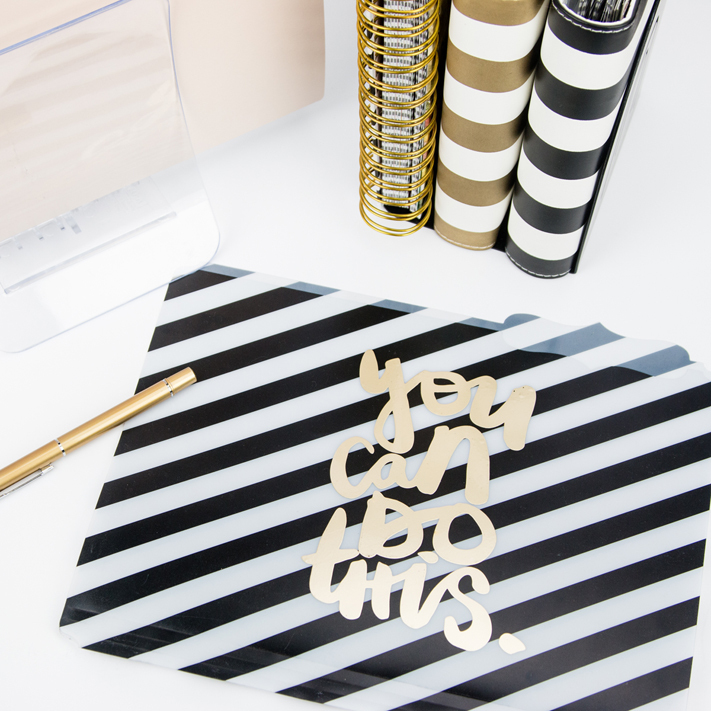 Have a blast foiling your folders to customize them any way you wish! See something you like, make it better.